Description: This universal valve includes a white ribbon and will shorten float time. Recommended for 9" and 11" latex balloons only. Complies with CPSIA. 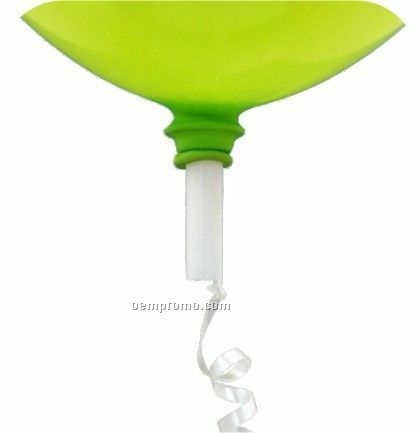 Description: Helium, Balloon Accessory, Inserted Ribbon, Balloon Plug, Round Tube, Circle. Complies with Prop 65. 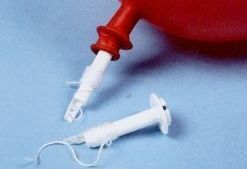 Description: Helium, Balloon Accessory, Inserted String, Balloon Plug, Round Tube, Cylindrical. Complies with Prop 65. 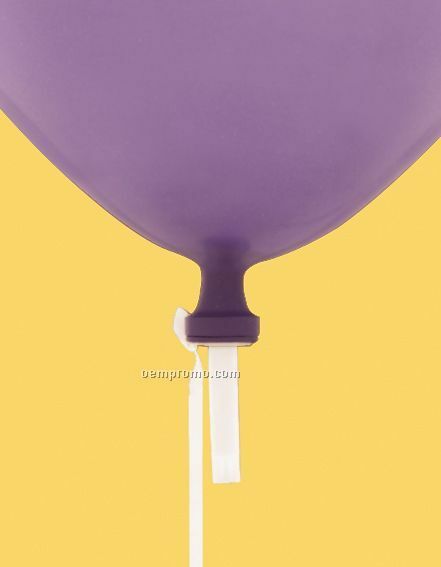 Description: Price includes ProLite balloon valves with 4' white ribbon attached) inserted into balloons at factory. Available for 9" and 11" Round Qualatex and AdRite latex balloons. For helium-filled latex balloons.